Animal remains offer unique insights for UCF biologists. Behind a heavy metal door in the Biological Sciences Building, the answers to some of the animal world’s most intriguing questions are stored. 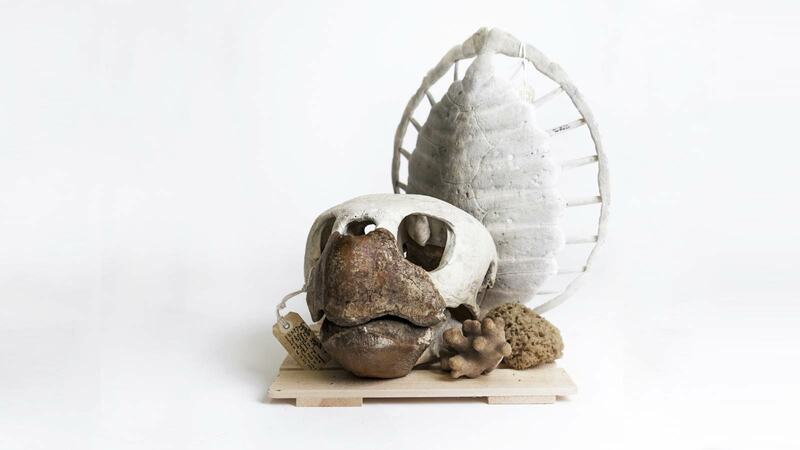 The Department of Biology’s vast collection of mammal, bird, reptile and fish bones includes more than a hundred species, ranging in size from rodents to whales. 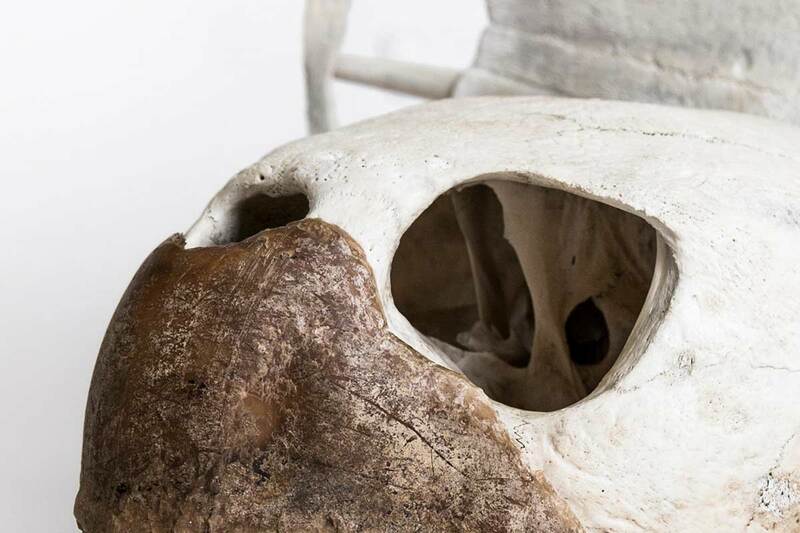 Associate instructor Frank Logiudice and his colleagues use the specimens to help students understand skeletal structure, comparative anatomy, physiology and other topics. The tagging system of this teaching collection relays an array of information about the animal. 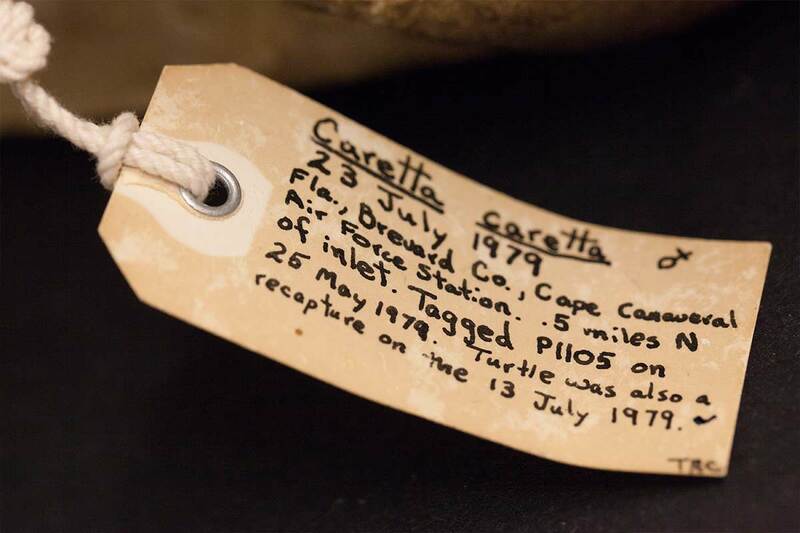 This skull of a loggerhead sea turtle (Caretta caretta) was recovered from a deceased animal that was tagged repeatedly while alive by UCF researchers beginning in 1979. The loggerhead’s beak is composed of keratin and formed through a process similar to the formation of calluses on a human hand. 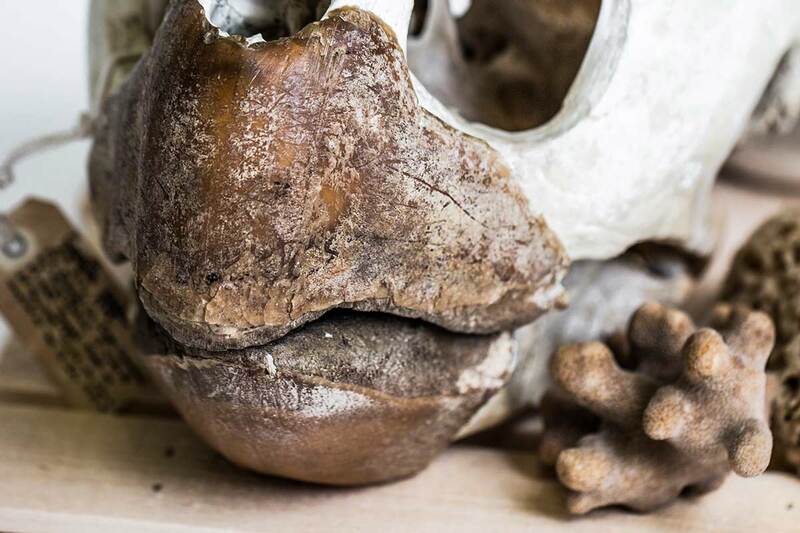 “The skin is external to the bone, so as the bone is used, the skin will be modified to reflect [this],” Logiudice points out. This same process was also seen with triceratops and can currently be observed in birds. 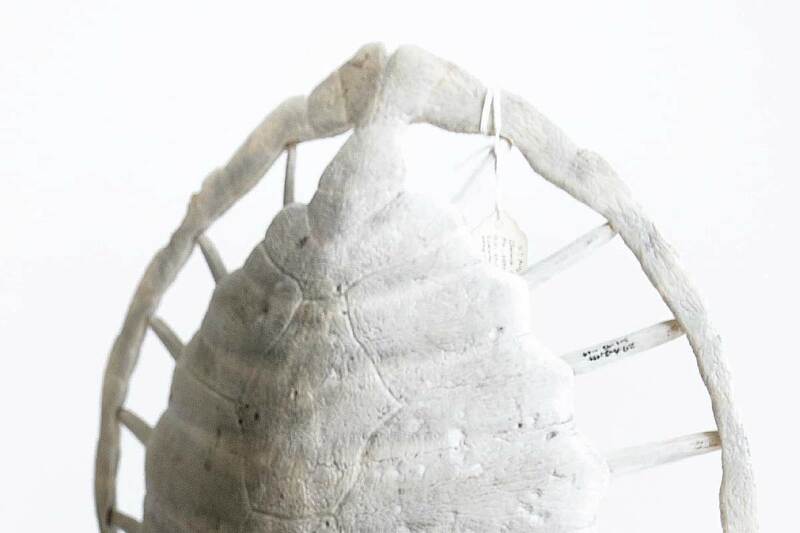 Since the turtle’s ribs are fused to their shell, “they can’t breathe like we do, expanding their ribs, so they have to wiggle their flippers around,” Logiudice explains. This wiggling motion helps bring oxygen into their lungs.